ARE MARVEL DELAYS AFFECTING MARKET? For our estimates of actual sales by Diamond U.S. from comic specialty stores on comic books shipped during July, see "Top 300 Comics Actual--July 2015." For an overview and analysis of the best-selling comics and graphic novels in July, see "Marvel Has Over Half of the Top 25 Titles in July." For an analysis of the dollar trends in July, see "Marvel's 'Secret Wars,' 'Star Wars' Take Top 4." The comics and graphic novel market in comic stores returned to growth in August, with comics up 2.25% (behind strong Secret Wars and Star Wars sales), graphic novels up 16.04% (behind the release of a new The Walking Dead collection), and the overall market for comics and graphic novels was up 6.45%, according to information released today by Diamond Comic Distributors. That 6.45% growth is a very good number, of course, but it pales in comparison to the first half growth rates of 13.07% overall, 16.46% for comics and 5.85% for graphic novels. July was actually down 2.88% overall, pulled down by a 4.67% decline in comics (see "Marvel's 'Secret Wars,' 'Star Wars' Take Top 4”). One factor affecting the dollars shipped may be the significant delays on Marvel titles, particularly on Secret Wars and related titles. 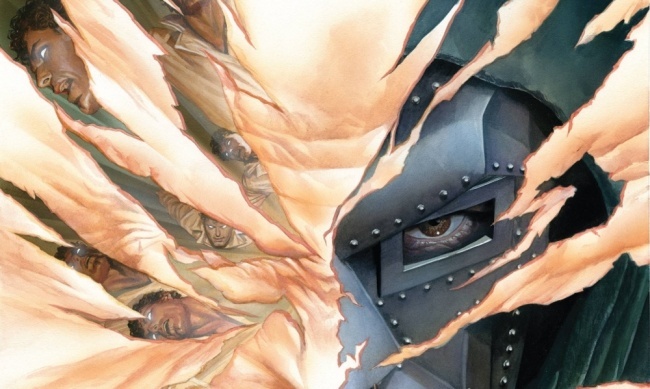 Marvel announced 53 delays on Secret Wars titles in four weeks in May and June (see "Marvel Delays Hit Collections, 'Secret Wars'"), and those delays are now playing out in the marketplace. Delays on collections announced around the same time are also starting to hit. That’s not necessarily all bad news at the retail level. The numbers Diamond measures are sell-in to retailers, sell-through can be affected differently. A slowing of the sell-in on Secret Wars titles, while aggravating and risking loss of momentum, can also improve sell-through on the massive number of issues in the event, giving fans time to keep up with more of the storyline as it plays out over multiple titles. Marvel continued its strong showing in the top ten comic titles, taking seven of the top ten slots. The Walking Dead moved back into the top 10, perhaps helped by the increased visibility of the property via the premiere of Fear the Walking Dead on AMC. Marvel’s market share was below 40% for the second month in a row, perhaps affected by the delays noted above. 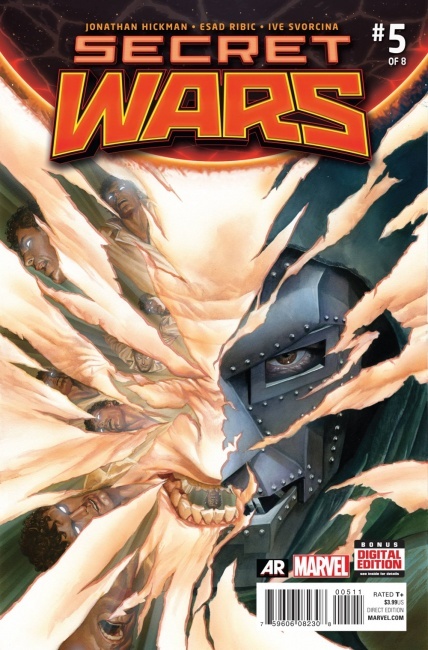 For an overview and analysis of comic sales in August, see "'Secret Wars,' 'Star Wars' Are 15 of Top 25 Comics." For our estimates of actual sales by Diamond U.S. from comic specialty stores on comic books shipped during August, see "Top 300 Comics Actual--August 2015." For our estimates of actual sales by Diamond U.S. from comic specialty stores on graphic novels shipped during August, see "Top 300 Graphic Novels Actual--August 2015." ​For our index to our reports on the top comic and graphic novel preorders for January 2000 through August 2015, see "ICv2's Top 300 Comics and Top 300 GNs Index."